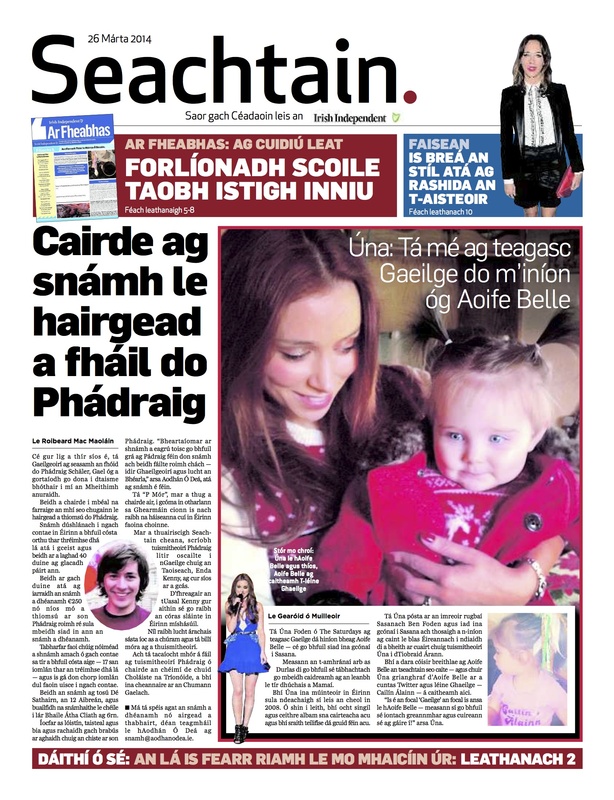 Swim for Pádraig makes the front page of the Irish Language Supplement to the Irish Independent Newspaper, Seachtain, on 26 March 2014. Even though his country let him down, the Irish Speakers (Gaeilgeoirí) are standing their ground for Pádraig Schäler, the young Irish man who was badly injured in a traffic accident last June. The Friends will be in the ‘mouth of the sea’ next month in order to gather funds for Pádraig. It’s a challenging swim in every county in Ireland that has a coast, over a period of two days, There will be at least forty people taking part.